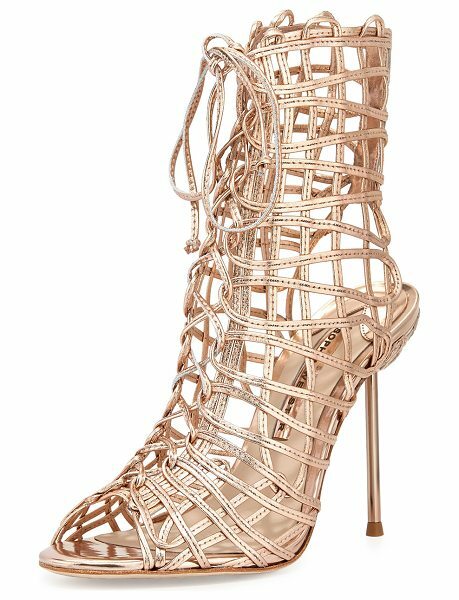 Sophia Webster metallic leather gladiator sandal. 4" metallic pin heel. 4"H shaft; 8" circumference. Open toe. Caged vamp. Lace-up front. Leather lining and sole. "Delphine" is made in Brazil.